Yesterday Indian parliament has passed a bill enabling 30% reservation for women in the national parliament and state legislators, with overwhelming majority. My take on this issue is straightforward, do we need to jeopardize quality for the sake of equality? I always consider that academic institutions, medical firms, governments and business have their main obligation to promote quality, not equality.Here in India, we have quotas for nearly everything; religion, caste, financial status and so on, a strategy promoted by corrupt politicians in an attempt to fish votes and ruining the quality. Many bright students lose out to getting admissions in good universities because of reservations, many bright candidates do not get jobs because of reservations.. it is just getting sick day by day. 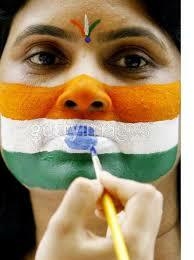 We Indians call ours the largest democracy in the world. I wonder how you can call it democracy and yet dictate the kinds of people who should get elected? In a democracy, what's the point of a quota for gender, or religion, or race? It gives someone an unfair leg up when votes count the most. Unfortunately like a beauty queen contest, democracy and popular vote do not always settle on the most qualified people - and prejudice can keep women from representation. I don't understand why people or legislative members do not realize that by increasing this segregation of the society they are promoting inequality and not equality that it is supposed to promote. One caste gets reservation, the other one says it's neglected and starts hate mongering. This has been going on for too long now, and not going to stop anytime soon either. It will not be long before there will be a billion and a half quotas of reservation in India, everyone claiming that they are disadvantaged because they have been neglected in the other quota. Let's not forget the instance that Lalu Yadav, a stringent opponent of the bill and one of the most corrupt politicians in India, made his illiterate wife Rabri Devi, Chief Minister of the state Bihar while he was incarcerated. Sonia Gandhi, secretary of the ruling congress party selected Ms. Pratibha Patel for the post of Indian President, a congress party member and otherwise unknown person, for the sake that she can easily be lured into a sycophant of the party-how she has always been. I foresee that the bill makes absolutely no difference in empowering the women; it will, their masters instead; corrupt politicians who drive India into a bureaucratic mess. This is a ridiculous law and should be consigned to the scrap heap. You don't achieve democracy or equality with quotas. Women empowerment is a goal that the entire nation wishes to achieve soon. Let’s all Stand Up against gender inequality in 2010.I am supporting this campaign & would like you to do the same.